Chevron produces energy to meet the world’s needs, but the company itself is a product of its workforce and ingenuity. The “Day in the Life” series showcases that ingenuity, our Human Energy, at work across the breadth of our businesses. Through this series, we highlight the people who make our company unique, as they give us an insider’s look at their work days and share a bit about their lives at Chevron. 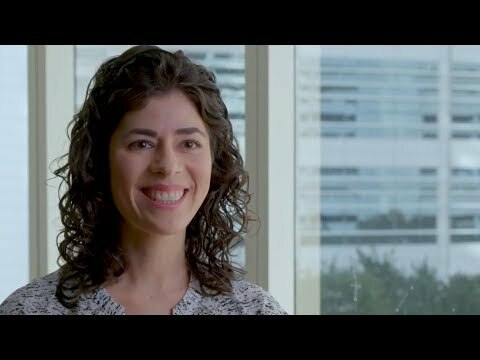 In this episode of our “Day in the Life” series, data scientist Alena Crivello describes her use of analytics to find solutions to complex problems. Looking at reams of data in an attempt to draw a conclusion is not always the easiest of tasks. That is, unless you’re Alena Crivello, a data scientist for Chevron’s Information Technology Co.
With her love of mathematics, and aspirations of becoming a professor, she decided to transfer those interests into “real-world” applications, which she achieves by using a variety of tools, such as analytics, to find solutions to complex business problems. Data science is important because it provides a way of making data-driven decisions after extracting information out of the vast amounts of data that are available through advanced technology. An important area of focus for her is process safety, where she is applying the principles of data science to incident prevention. “One of the things I'm proud about, working for Chevron, is how important safety is as part of the culture,” Alena says. Through her daily experience, she observes how committed the company is to doing things the right way. Alena’s natural teaching bent has enabled her to develop two data science courses for Chevron employees - one fundamental class and another for those wanting to learn how to apply the discipline to their projects. She likes to translate technical concepts into more conventional terms that people might be familiar with in their everyday lives. For Alena, her hobby of sewing lets her draw from examples of garment construction to help make technical concepts more concrete. "Data science is an area of research that takes data and tries to find patterns to answer questions."